Do you ever walk at night dressed in dark colours? Have you ever jogged at the crack of dawn anxious to be seen by the cars during your jogg? Do you ever walk with your doggie in a pitch black street in the middle of the winter? All those questions have the same answers: safety and fashion first! And you know what? Heisel got the answer! It all started with Sylvia Heisel. Sylvia is a pioneer and veteran in fashion, not any fashion but smart fashion using innovative and smart material. The lines of clothes designed by Sylvia combine advanced technology materials and manufacturing techniques. Creativity, technology, sustainability and style are leading the way! 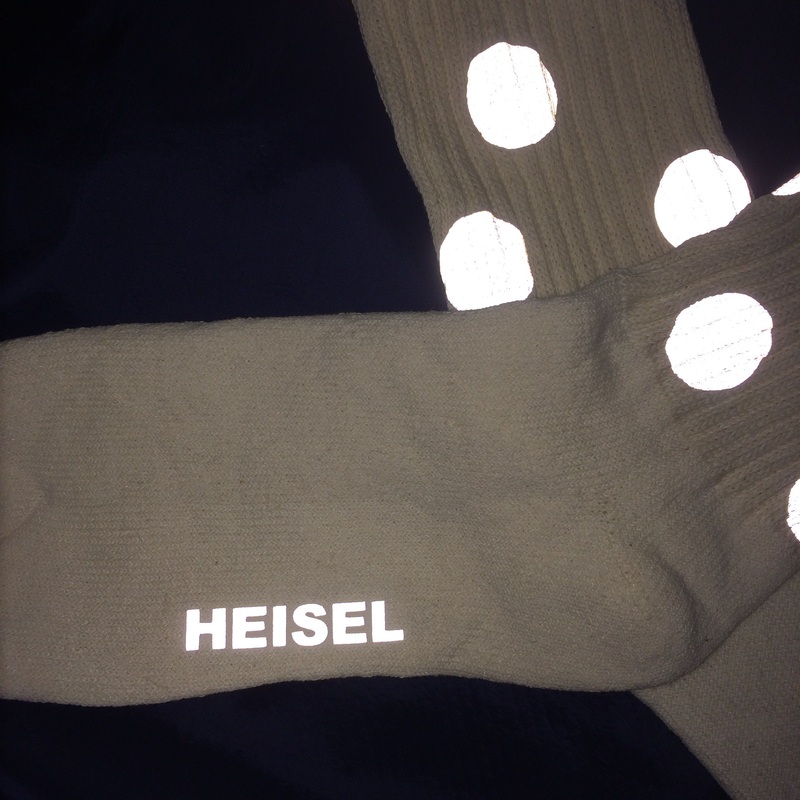 From T-shirts to hoodies, pants and parka, Heisel also creates suome great and accessible accessories that will bring safety and comfort to our life (saving you from the ugly yellow safety jacket). 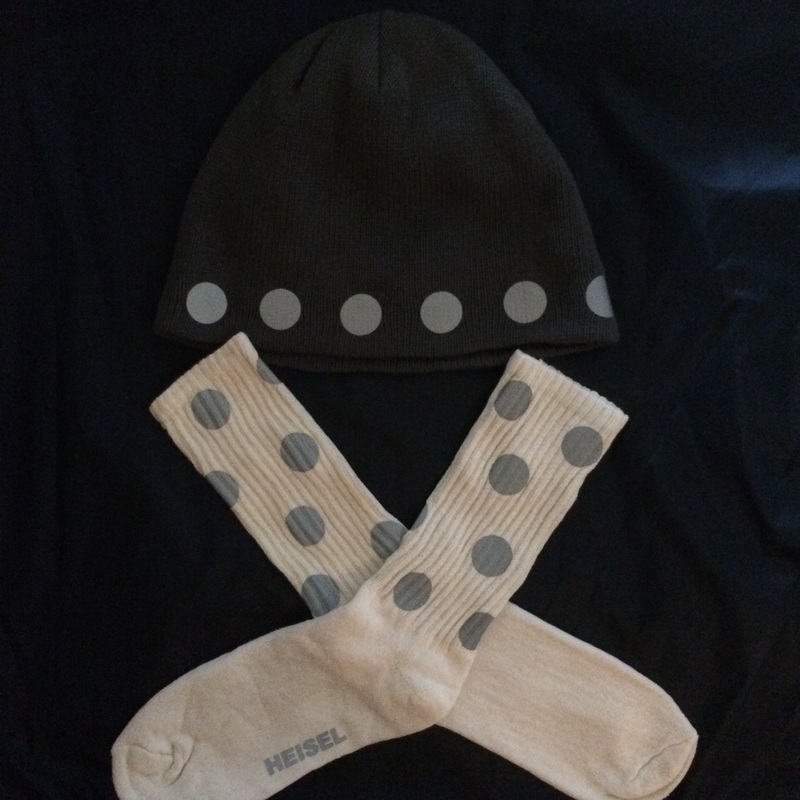 I was attracted by the polka dots reflecting tennis socks ($16) and the reflecting beanie ($36). Those accessories are great while running, biking or just walking and will attract the attention of the cars when the sun goes down. 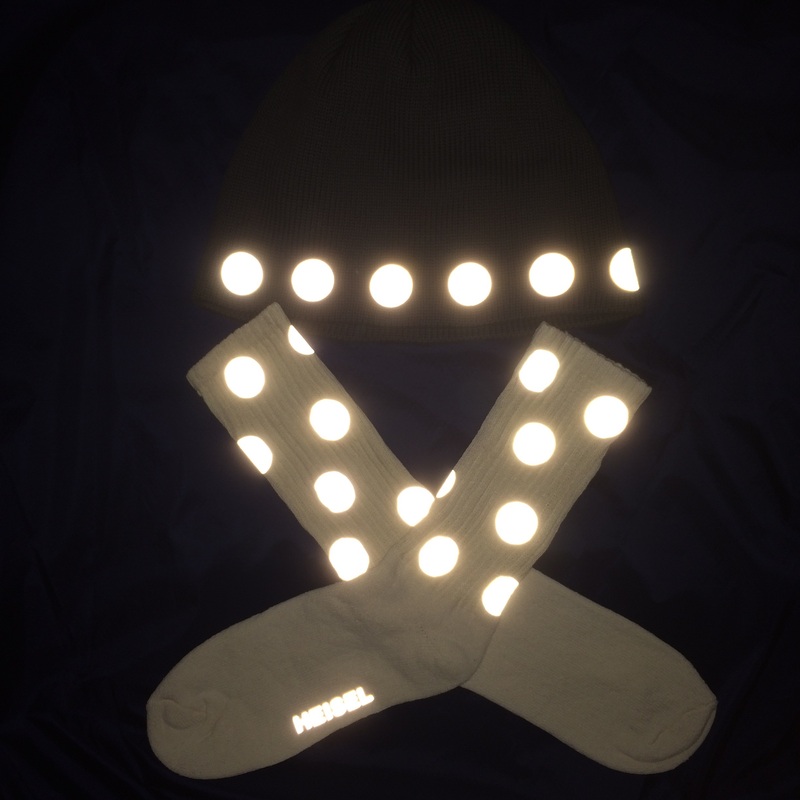 The beanie is great for winter to keep your ears warm and you will stand out at night … safety is not a game! PS: Heisel clothes and accessories are also a stunner while moving your body on the dance floor!! If you are into D.I.Y., check the reflective threads ready to be knitted, sewn, glue to your clothes to create your very own reflective outfit. Thanks to Diego and Sylvia for their help.